WAILUKU — For a collision that seriously injured a 16-year-old girl and her father as they bicycled along Hana Highway, a Haiku man was sentenced Thursday to a three-month jail term. Jared Parrish, 25, was ordered to pay restitution totaling $20,270. The crash occurred May 23, 2016, as the experienced bicyclists from Canada rode on the shoulder of Hana Highway toward Kahului, said Deputy Prosecutor Andrew Martin. They were about 150 yards from the intersection with Haleakala Highway when Parrish swerved his truck to the right to collide into the back of the bicyclists, according to police. Then Parrish swerved back onto the roadway and drove up to the light and pulled over. He said Katie Fleckenstein was in critical condition and suffered a traumatic brain injury. She was in a coma for several weeks, missing the rest of her junior year of high school, Martin said. Her father, Steven Fleckenstein, also was seriously injured, Martin said. The father described watching Katie “learn to walk again and doing the simple tasks that all of us take for granted,” Martin said. “For that, there’s a price to be paid,” said Martin, who recommended that Parrish serve a six-month jail term. Parrish had pleaded no contest to two counts of first-degree negligent injury, as part of a plea agreement recommending probation. The prosecution agreed to remain silent about Parrish’s request for a chance to keep the convictions off his record. In a memorandum supporting the request, his attorney, Philip Lowenthal, said Parrish was an inexperienced driver who had obtained his driver’s license seven months before the crash. He was driving from Haiku to Kahului to turn in his work time sheet when he hit the bicyclists as he got into the right lane and prepared to turn right onto Haleakala Highway toward Kahului Airport, Lowenthal said. He said Parrish didn’t see the bicyclists. Afterward, Parrish was “stricken with remorse over the fact that he had badly hurt two innocent people” and reassessed the direction of his life, according to the memorandum. Shortly afterward, he enrolled in McKinley School for Adults and earned the equivalent of a high school diploma, the memorandum says. Parrish is enrolled at the University of Hawaii Maui College and works part time, according to the memorandum. 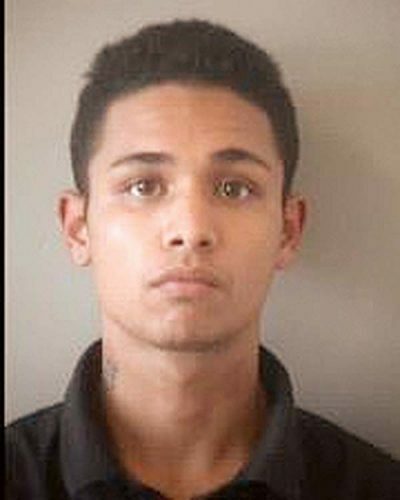 “You hate to knock a young person down when they’re on a track of doing something pro-social for the rest of their lives,” Lowenthal said in court. He said evidence from the crash showed the right mirror was broken on the truck that Parrish was driving. “So he apparently clipped those folks,” Lowenthal said. Parrish’s insurance had lapsed when the crash occurred, but the Fleckensteins had a multimillion-dollar uninsured motorist policy, Lowenthal said in his memorandum. He said he walked over to the injured bicyclists. Pedestrians and a nurse were there and told him to go back to his car and wait for police, he said. Second Circuit Judge Peter Cahill granted Parrish’s request for a chance to keep the convictions off his record if he follows court requirements for the next four years. Cahill delayed the start of Parrish’s jail term until May 15 so he can finish the college semester.